As the first day of our inaugural school year approaches, we're thrilled to unveil to you the team that will make up the founding faculty & staff of BASIS Independent Fremont. Many thanks to all who have participated in our numerous hiring events that have led to the hiring of such a talented group of professionals. We're pleased that you took part in such a crucial process of the establishing of our cohesive school community. 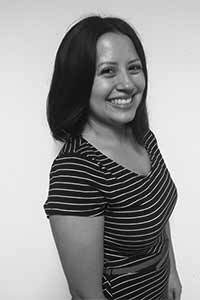 We're pleased to introduce to you Adrianna Villanueva, Subject Expert Teacher: English/Humanities at BASIS Independent Fremont. Ms. Villanueva graduated from San Francisco State University in January 2016, earning her Bachelor of Arts in English Education. During her undergraduate career, she volunteered in the San Francisco Unified School District as an English tutor with the non-profit organization 826 Valencia. In addition to being a full-time student, she also worked part-time as a writing instructor at an after-school learning center for two years. She is pleased to have experience working with students of all twelve grade levels. Ms. Villanueva was attracted to BASIS Independent Fremont because of the challenging curriculum that requires students to think outside of the box. “One of the reasons why I enjoy teaching English so much is because it requires critical thinking and creativity. There is no other subject quite like it,” says Ms. Villanueva. Her goal is for her students to express themselves through writing and to make inferences based on a variety of readings. She understands that learning the fundamentals of grammar and essay writing can be tedious, but she is always thinking of creative approaches to use in her classroom to keep students engaged. Ms. Villanueva takes great pride in getting to know each of her students. She wants her students to always feel welcomed when they enter her classroom and leave with a positive learning experience. Outside of the classroom, Ms. Villanueva enjoys working out, exploring new hiking trails, and watching movies. She is a self-proclaimed child at heart who loves to reminisce about Disney films and Super Mario video games. You're invited to a Special Meet Our Teachers event on April 24 to meet Ms. Villanueva in person!